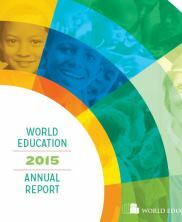 Annual Report - About Us - World Education, Inc.
World Education is dedicated to improving the lives of the poor through education and social and economic development programs. 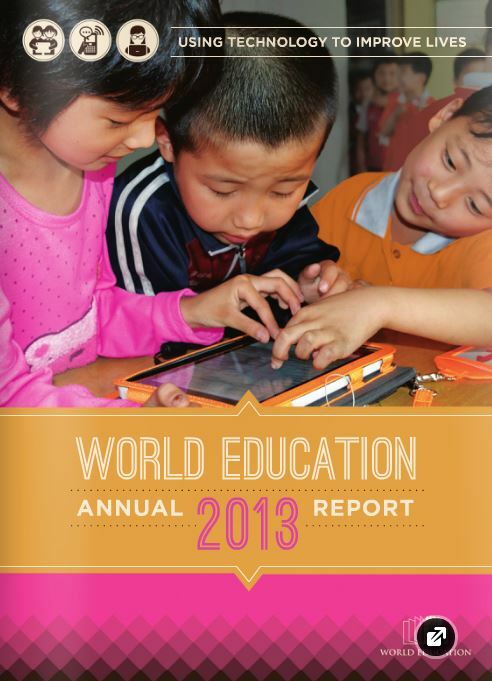 This year's annual report highlights World Education's continued progress in building girls' and women's agency through literacy and livelihoods trainings; using technology to improve the quality of education at every level through curricula development, teacher support, and local partnerships; and developing interventions to help vulnerable youth and adults continue their education and live healthier lives. To request a hard copy of the report, please email wei@worlded.org. World Education is dedicated to improving the lives of the poor through education and social and economic development programs. The projects featured in this report demonstrate the wide range of World Education's work to reduce poverty through education. 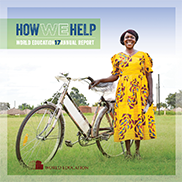 In 2016, World Education launched 38 new projects, from implementing girls' education initiatives through Michelle Obama's Let Girls Learn in Tanzania to establishing workplace education for adult learners in Massachusetts. 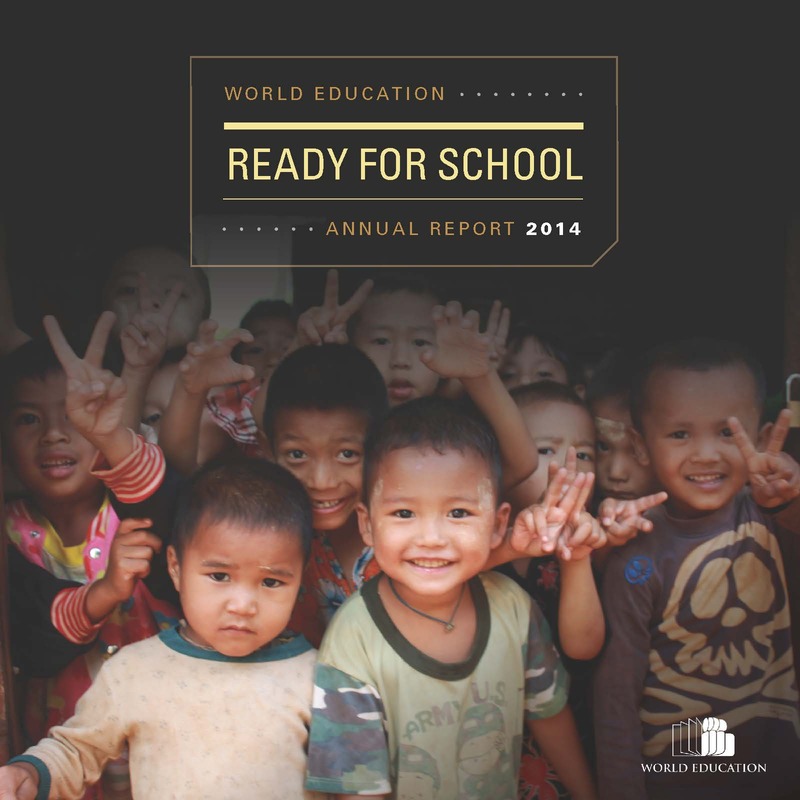 In 2015, World Education launched 54 new projects, including access to education technology in China, early grade reading in Mozambique, and adult education in the United States. 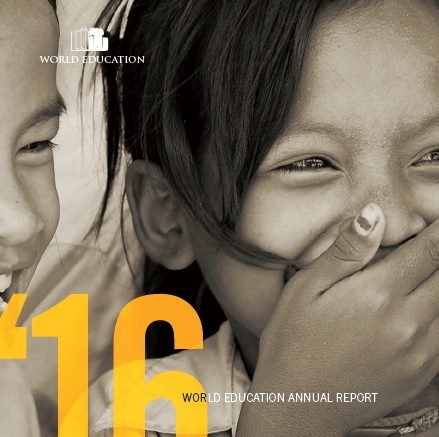 This year's annual report, Ready for School, highlights just a few of World Education's efforts to help students become effective learners. The report features four projects from our work across Africa, Asia, and the United States. This year's annual report, Using Technology to Improve Lives, highlights three distinct mobile technology projects in Africa, Asia, and the United States. This year's annual report highlights new projects and activities, as well as some of the recognition World Education received during the year. World Education has been helping people raise their standard of living through education for more than 60 years. This special publication commemorates some of the people, projects, and developments that have contributed to the unique entity that World Education is today. But we would not be here today without our donors. We thank you for all that your generosity has helped us do, and hope you stay with us for our next 60 years!